So, here we are. December finally caught up with us. Days are already filled with listing, planning, shopping, and gift wrapping. I'm still hoping to include reading on that list. Still Life with Bread Crumbs by Anna Quindlen - 5/5 stars - I love the tone of the narration, and I simply breezed through this. The Undoing by Averil Dean - 3.5/5 stars - Surprised by how good this book was. I just wished for a better intro. Book release on the 29th this month. Alternative Alamat edited by Paolo Chikiamco - 3/5 stars - TFG's book for November, which we happened to discuss last FilReaderCon. This is an average rating. I should probably write a comprehensive review on which stories I liked best and which I don't. The Forbidden Wish by Jessica Khoury - 4/5 stars - I was granted to take a sneak preview, and I am looking forward to its release on February 2016. 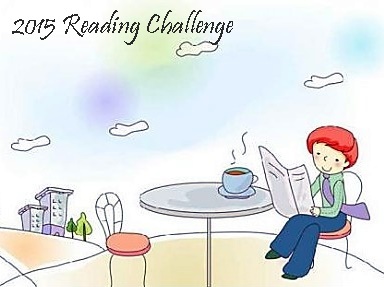 And that concludes my Reading Challenge for 2015 of 70 books. Although, I was not able to read Winter People like I planned last month; and I've put both The Invention of Wings (64%) and The Golem and the Jinni (68%) on hold. I'm still thinking of finding ways to finish them within the year. Before I go, allow me to be the first to greet you a Merry Christmas and a Happy New Year ahead!